• Matt Cutts announced that Google is working on search ranking penalties for websites engaged in "over optimization". 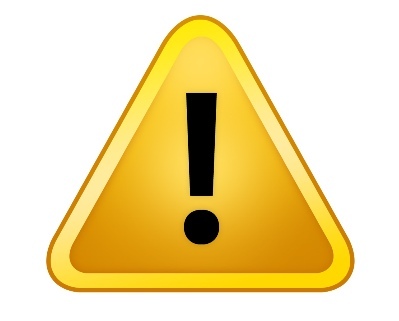 • Some webmasters have seen warning notifications in Google Webmaster Tools about unnatural links. • A blog network, Build My Rank, that coordinated paid link exchanges was removed from Google's search index as a result of the network's manipulative tactics. Google’s never-ending war against webmasters artificially manipulating search engine rankings continues to rage. This month, Google has been actively engaged in battle. Firstly, an upcoming “over-optimization penalty”, potentially targeting over-optimized websites, was announced. Secondly, there has been a large increase in reported warning messages to webmasters via Google Webmaster Tools about detecting “artificial” or “unnatural” links pointing to websites and web pages. Lastly, there was a confirmed de-indexation by Google of an entire blog network, BMR (Build My Rank). These three events are described and analyzed here, with recommendations for SEO strategies below. Head of Google’s web spam team Matt Cutts recently announced that Google is working on a new search ranking penalty for websites that Google considers “over-optimized”. The new search ranking penalty is planned to be introduced within the month, its core function is to allow or increase the chance of websites with great content gaining a better search engine ranking position. Over-optimized websites can involve using sneaky tactics such as hiding keywords and/or keyword stuffing, or feature unnatural/artificial looking internal link profiles, although this list is not exhaustive. The most commonly known unnatural linking technique understood to be bad practice is link buying, also referred to as paid links or link purchasing. These types of links come in various forms, from single home page links to site-wide links found within website footers or navigation. Commonly these links are found within blogs, paid link exchanges and content networks, link networks or blog networks. While Google has been cracking down on search ranking manipulation for quite some time, it is the first time Google has become vocal about it. In previous instances, Google would simply de-value links it considers to be in violation of Google’s Webmaster Guidelines and not mention any of it within Google Webmaster Tools. Being vocal brings more awareness to webmasters worldwide that Google is watching and willing to penalize participation in link schemes and violation of its Webmaster Guidelines. BMR (Build My Rank), a paid link private blog network (effectively, yet another paid link scheme) recently had its entire network de-indexed from Google’s search index. This is only one of many paid link private blog networks currently in existence. Of course, the name “Build My Rank” may have given the game away slightly. Given the fate of BMR, Google is probably out to punish the rest of them with the complete removal of entire paid link private blog networks from its search index. Do not participate in any form of link schemes. Link schemes, such as blog networks, paid links and link exchanges (3-way link exchanges, link wheels, etc.) are in violation of Google’s Webmaster Guidelines. Going against Google’s Webmaster Guidelines is a dangerous SEO strategy and websites in violation are never successful in the long-term. Google is always on the prowl for websites in violation of its webmaster guidelines with algorithm updates (such as Panda) and allowing users to report paid links. Always build unique content. Natural links will come and they can be encouraged! Content should be highly engaging for the user as Google wants to serve this is the type of content to users world-wide. Highly engaging content involves quality unique content not found anywhere else, rich images, videos, or objects which allow user involvement and interaction (blog comments are a prime example) and interesting infographics. These engaging content types decrease bounces rates, increase time spent on site and page views, but most importantly, they attract natural links! Creating great content and making it likeable and linkable are only going to become even more important in terms of successful natural link-building and overall SEO.